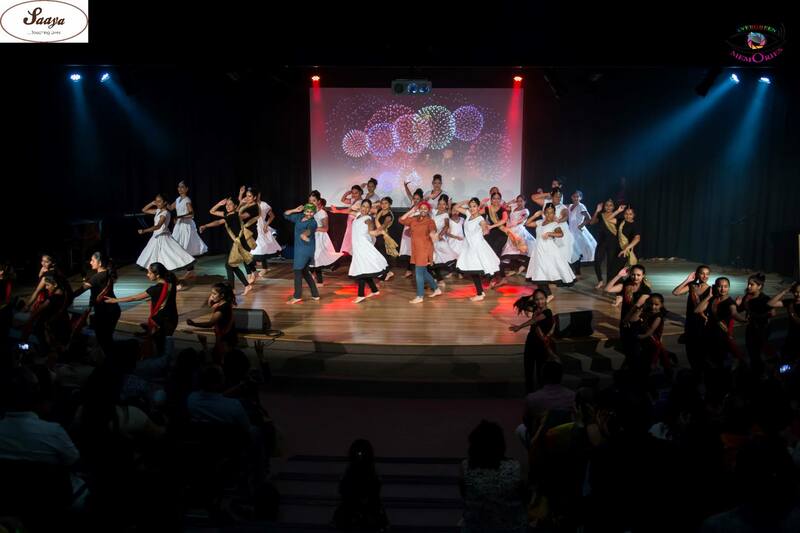 Bollywood dance spectacular helps change the lives of people living with disability. “Saaya is Urdu for the shadow that always follows those in need.” Said Hari Sallakonda. In 2016 Hari and wife Rashmee began creating a forum for charitable work within their community. “With the generous assistance of friends and family, that desire to give back to our wider community soon grew into the charitable organisation, Saaya Touching Lives.” Said Hari. This is the third year in which Saaya has hosted a charity fundraising event. “This year we decided we wanted to help people living with a disability.” Said Rashmee. Saaya has chosen to support two organisations TAD and the Harman Foundation. “We were amazed by the work of TAD’s skilled volunteers in designing and building custom equipment to help people live more independent lives. We wanted to partner with TAD because it is something very kind and genuine that TAD is doing.” Rashmee said. 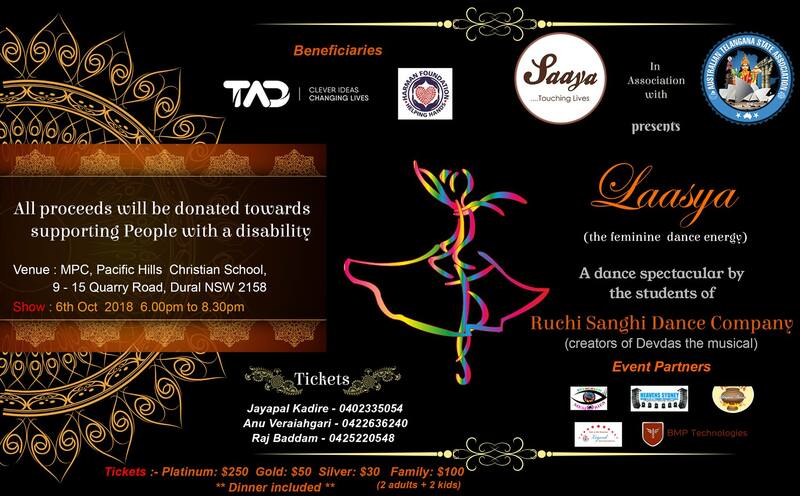 The program for this year’s fundraising event is a dance spectacular performed by Ruchi Sanghi Dance Company. 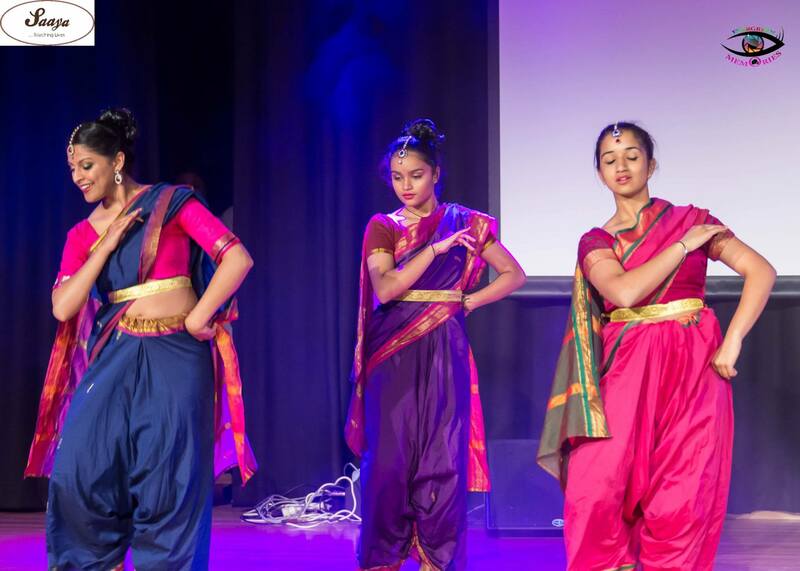 The show ‘Laasya’ features the work of 50 dancers with approximately 10 group performances in classical Kathak and Bollywood Style. Around 400 costumes will be worn on the night. “The costumes are very bright and colourful the dancers will be spectacular!” Said Rashmee. Saaya presents Laasya is set to be the biggest performance yet! 250 tickets have already been purchased by guests’ eager to support a worthy cause. Tickets can be purchased here http://bit.ly/2KYT2uF. Dinner is included. “We believe that when our community prospers so do we all!” Said Hari. All proceeds from ticket sales and gifts will be donated to TAD and the Harman Foundation to help change the lives of people living with a disability. Saaya also welcomes any individuals who are interested in volunteering their time. “The more the merrier,” said Rashmee.